The People’s Empowerment Party and the Committee to Elect Faye Reese-Charles are pleased to announce the candidacy of Faye Reese-Charles in the ninth electoral district of the Virgin Islands. Faye Juliana Reese-Charles’ 30-plus years as a Public Officer began in 1978 as a stenographer in the Deputy Governor’s Office, serving in various Departments including the Typing Pool, Legislative Council and High Court of Justice (Criminal Division). In 1992 she relocated to Virgin Gorda with her daughter, before going to Ottawa, Canada to attend Carleton University, graduating in 1996 with a Bachelor of Arts (Hons) degree in Law and Political Science. Ms Reese continued to hold various positions in the Public Service, including Assistant Permanent Secretary, Chief Minister’s Office until her retirement in 2007. She returned to the Public Service as Assistant Cabinet Secretary in the Cabinet Office from Dec. 2008 until Nov 2014. In fulfilling her public officer duties, Reese commuted daily during the last 18 years to Tortola from Virgin Gorda, where she resides. Currently, Mrs Reese-Charles is an Instructor at the H. L Stoutt Community College, Virgin Gorda Campus. 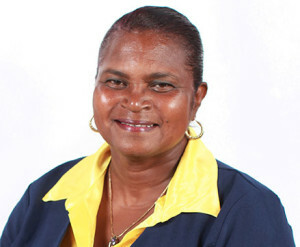 Among her community activities, she is the Captain of Valley Girls’ Brigade from 1997, when she was instrumental in forming that organization in Virgin Gorda . This Virgin Gordian aspires to become the first resident District Representative in the Ninth District, where she knows and experiences, first-hand, the same joys and pains of the constituents.